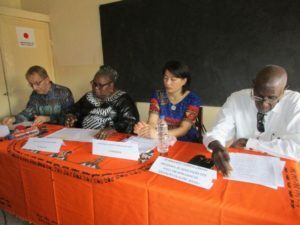 This morning, November 21st 2017, at the Cassacá Congress School in Missirã, Bissau, the official ceremony of a new pavilion built with seven (7) properly equipped classrooms was held. 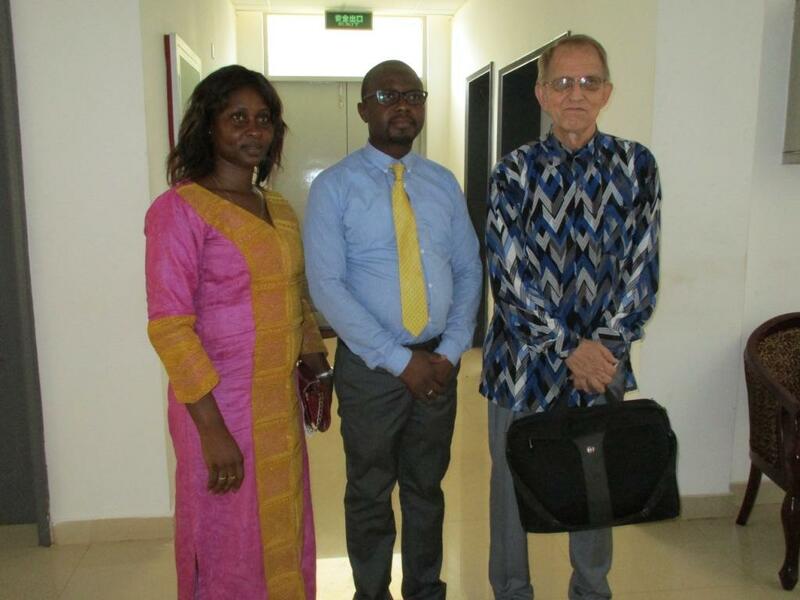 ➢ Mr. Armando Correia Landim – President of the Parents Association and Head of Education. Besides them, dozens of students, teachers and parents and caretakers were present at the ceremony. ADPP GB congratulates its team and its partners for the success of this project and for the results achieved. Last week at the annual United Nations Climate Change Conference, world leaders congregated in Germany to address the challenges of climate change, in a concerted effort to seek solutions and stimulate action to counter this growing global threat. 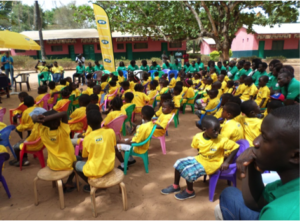 Humana People to People has been working tirelessly to buffer against the effects of climate change at local levels around the world. 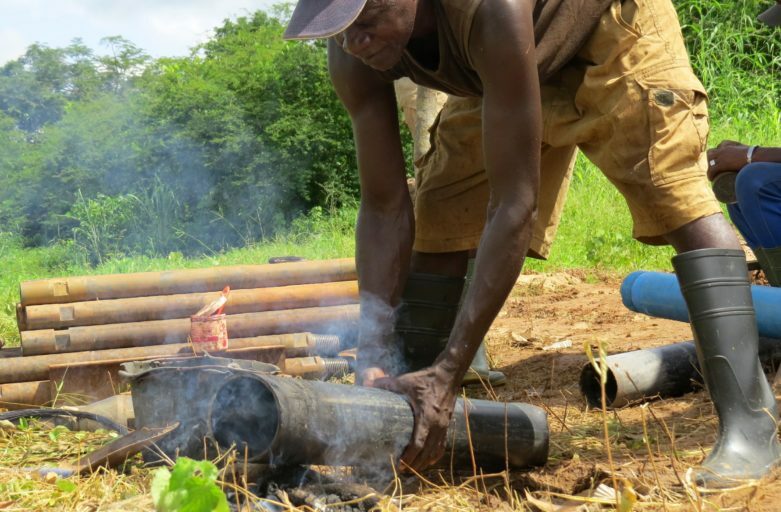 Worsening droughts in Mozambique have hindered cultivation of crops in recent years, affecting livelihoods and limiting the availability of food to many Mozambicans. 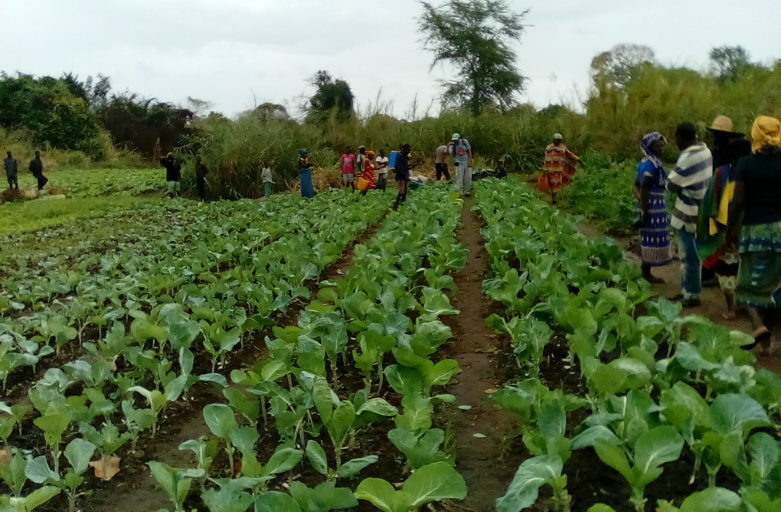 This case study demonstrates the impact of Humana People to People’s irrigation scheme on facilitating crop growth in the face of a changing climate. 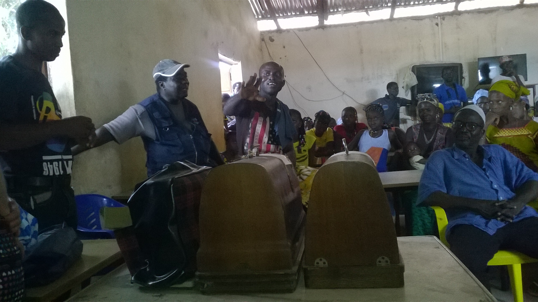 Ceziano Amadeu is a member of Ovilela Farmers’ Club located in Munguissa, Zambezia province of Mozambique. 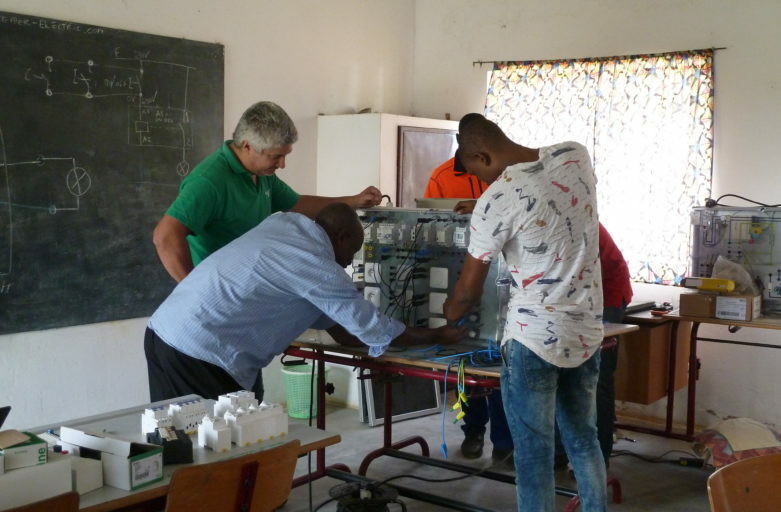 The club is one of the sites to benefit from an irrigation system constructed by ADPP Mozambique with funding from the Ministry of Foreign Affairs, Finland. The Farmers’ Clubs project seeks to reduce rural poverty through promoting small-scale agriculture. 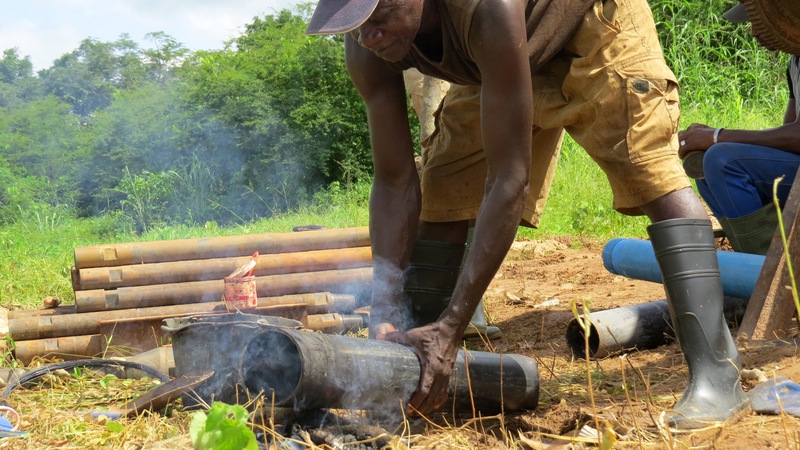 It is for this purpose that the Munguissa drip irrigation scheme was conceived. The irrigation scheme is a 2 hectare capacity scheme. Different types of vegetables, onions, green pepper, tomatoes, lettuce, carrot and cucumber are grown here at this scheme. 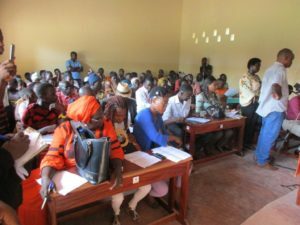 It was during one routine monitoring visit to the Club that a Farming Instructor met with Ceziao, a farmer at Ovilela Club, who had this to share with the project team. “I am a member of the Club since joining in 2014. 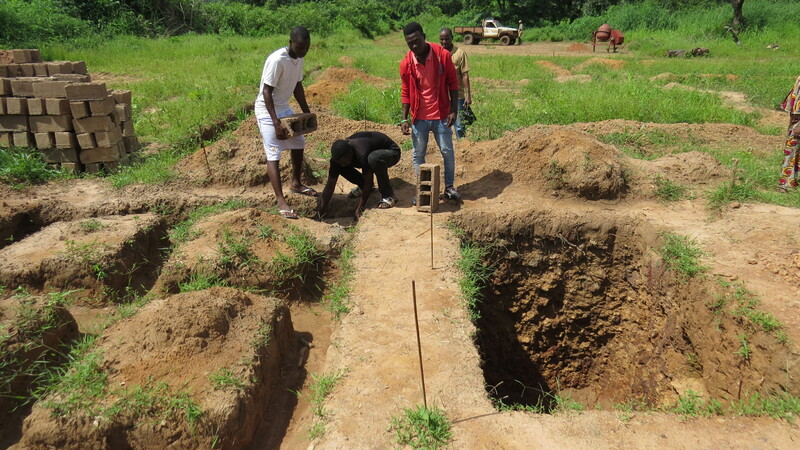 The project has assisted farmers through training. We have learnt how to prepare compost and use line planting of vegetables. 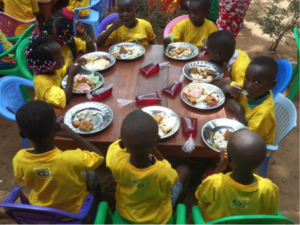 Last year the project taught us about nutrition and how to prepare fortified porridge using vegetables”. 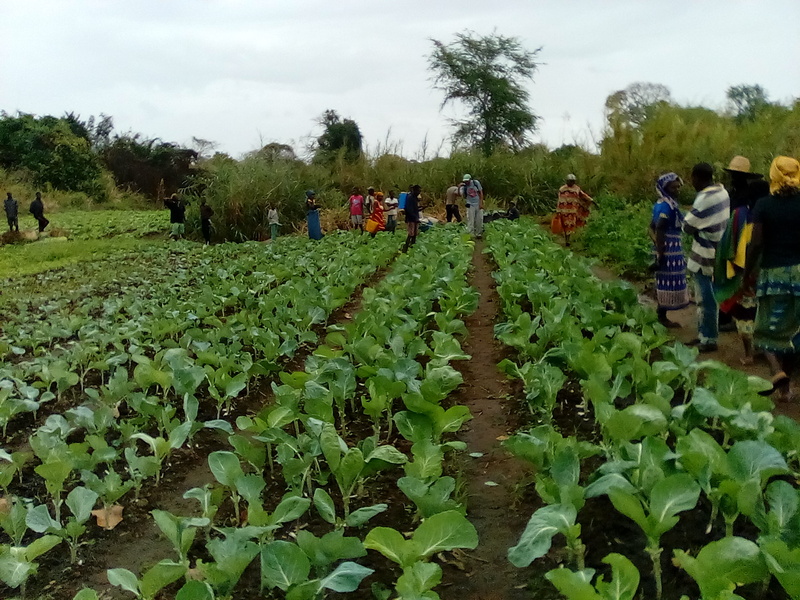 When asked about the impact of the irrigation system, Mr Ceziano responded, “The irrigation is assisting club members to increase their production for household consumption, as well as sales of excess vegetables on the local market resulting in increased income for the farmers”. The irrigation system is supporting farmers to achieve self-sufficiency in agricultural production, benefitting 500 farmers directly and an additional 2,000 people indirectly in the district. 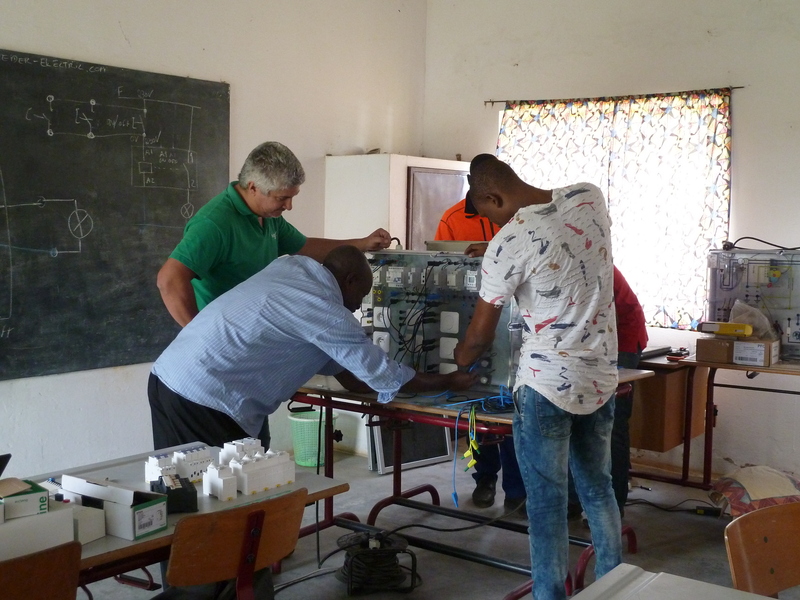 This is exemplary of the good work that Humana People to People carries out around the world to help people deal with the impact of climate change on local communities. This week at the United Nations Climate Change Conference we are showcasing the work of Humana People to People’s members to highlight our cause while setting an example for others to follow in the struggle against climate change. 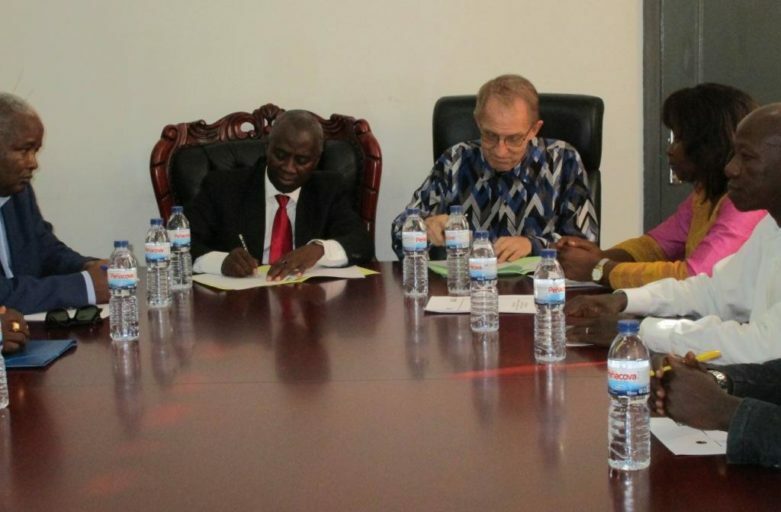 ADPP – Guinea Bissau since 2015 in June started to Received Containers of Second-hand materials from Denmark. 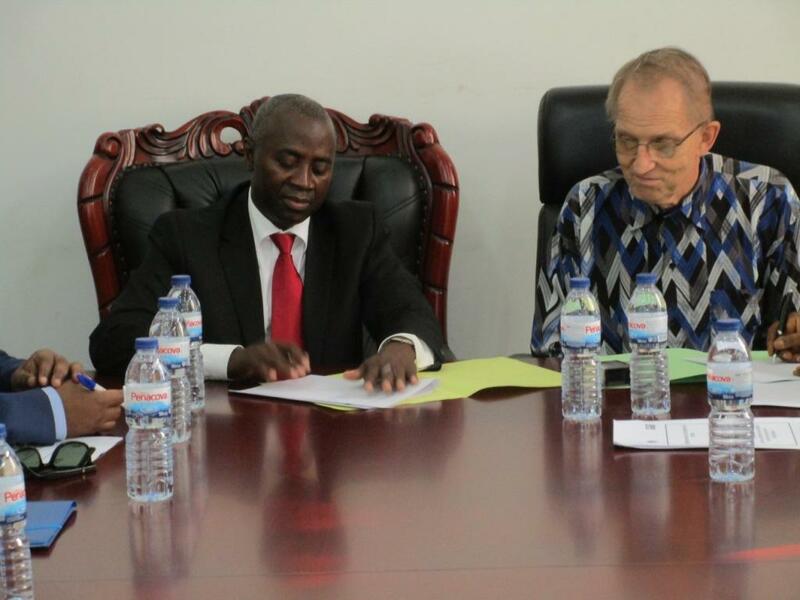 These materials are benefited under a partnership agreement between ADPP –Guinea Bissau and UFF- Humana in Denmark. Taking into consideration that what is regarded as of zero value in one part of the world still can serve on the other part of the world. 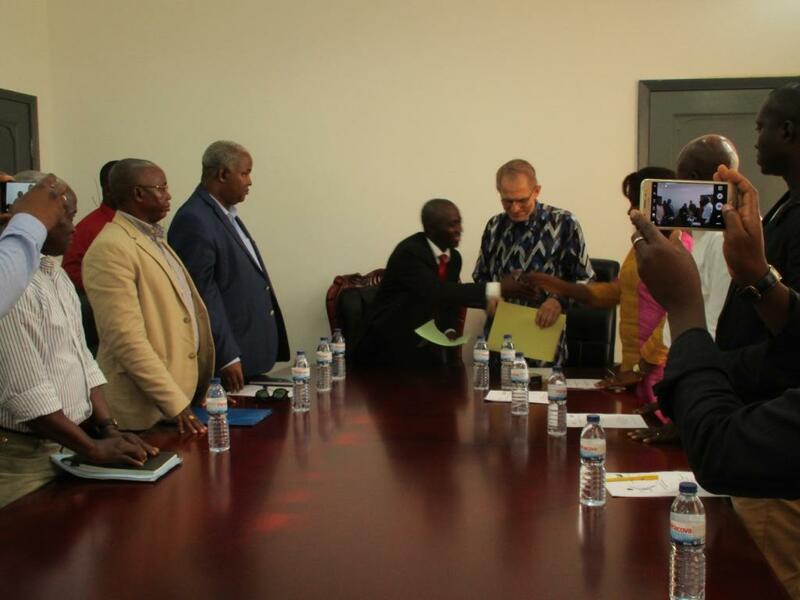 In this regard UFF- Humana in Denmark signed an agreement of collecting and sending containers of second-hand materials with The Danish Relief Group that is known as Nødhjælpsdepotet this group is located in the city of Næstved. 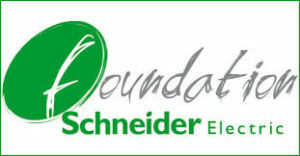 This donation is made by the fund called “Recycling for Development” also known as “Genbrug til Syd”. 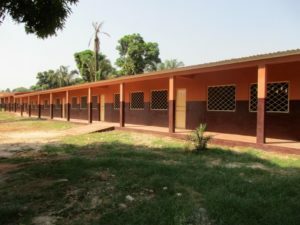 In 2016 ADPP –Guinea Bissau through the same Recycling Fund and the involvement of the mentioned partners benefited 2 more containers which were full of different items like 70 Computers from the Computer Group in Holbæk”., School chairs and tables, Blackboards, including medical equipment as well as the spectacles and wheelchairs. 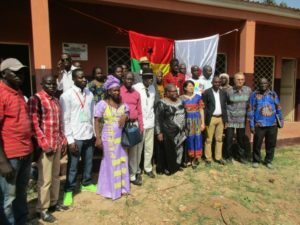 So the materials again were distributed in the same line as the objective for the furniture was to complete at least an average of 25 Chairs in the 24 community centers operated by Farmers Club project in Oio. 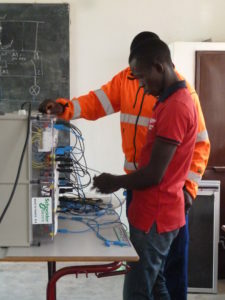 And the rest of the materials Computers were distributed amongst the projects in Guinea Bissau operated by ADPP such as the Vocational school in Bissorá, Teachers Training College in Bachil, Farmers Clubs in Bissorá and some in the national office for ADPP in Bissau. 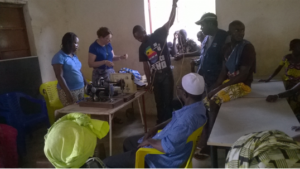 Recently in 2017, during the period of April to June, ADPP- benefited 2 containers in of assorted items such as: 185 School tables of which 55 are for 2 people each and 80 for one person each, 16 bicycles, 18 bags for the sleeping pads, 7 Sewing machines, 7 boxes Spectacles and 13 boxes cases for the spectacles, 5 Hospital beds and 5 Mattress, 3 Wheelchairs and 21 Rollators just to mention a few. 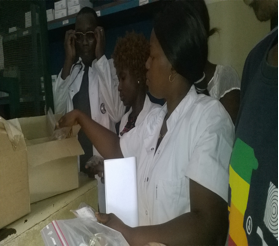 These materials were also distributed to the mentioned projects. On average each container contains items with a value of around 40.000 euro. 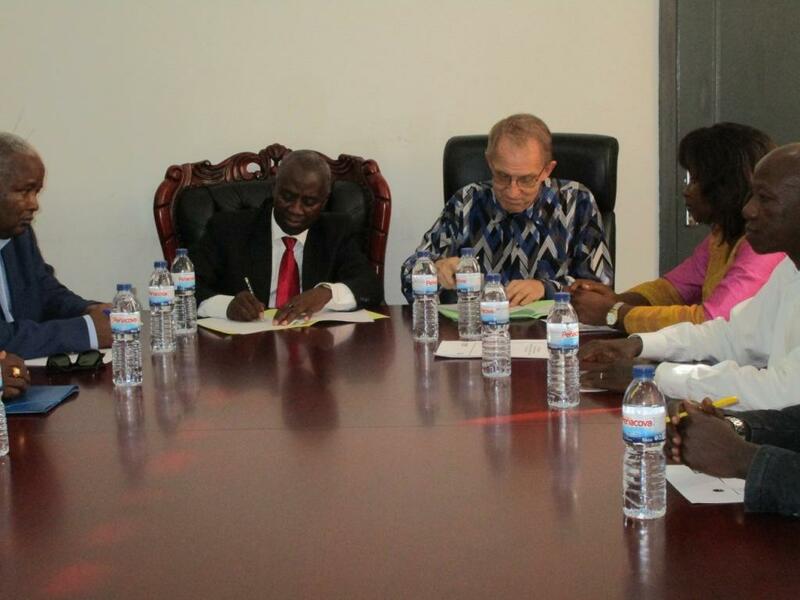 In total, until now ADPP Guinea-Bissau and its partners have benefited over 200.000 Euros from the recycling fund. 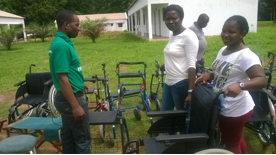 “Patients from Bissorã Hospital are now attended with much better conditions thanks to Danish Relief Group donation. 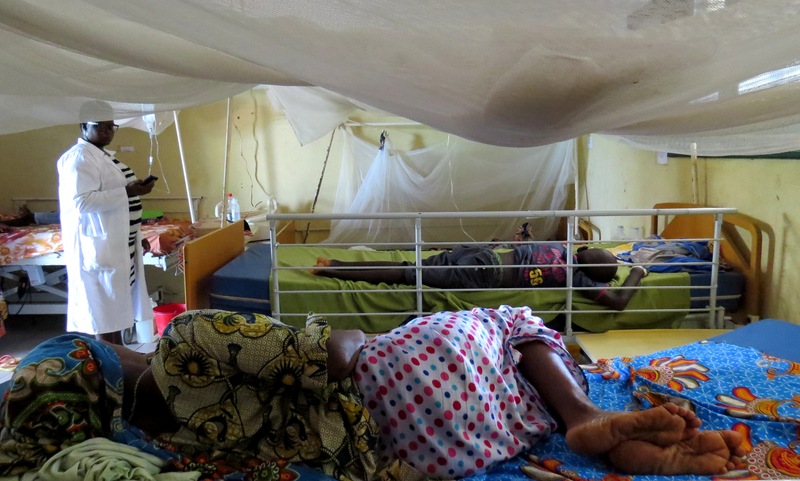 The five beds donated by the Group were placed in the paediatric room improving children’s care as these beds are in better conditions than the old ones. 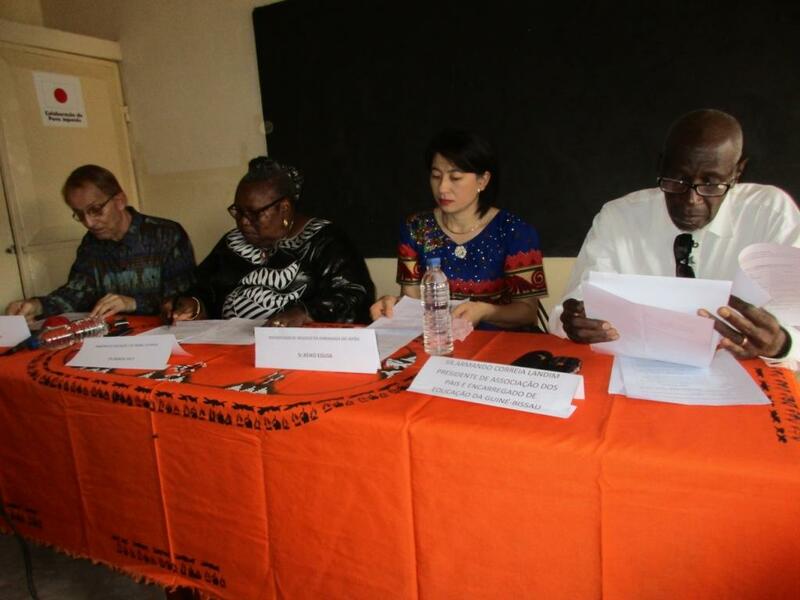 The old beds were put in the adults care room which allowed us to increase the capacity to host more adults to overnight at the Centre”, said Teresa Luisa Embaná, administrator of Bissorã Hospital, in Oio region. 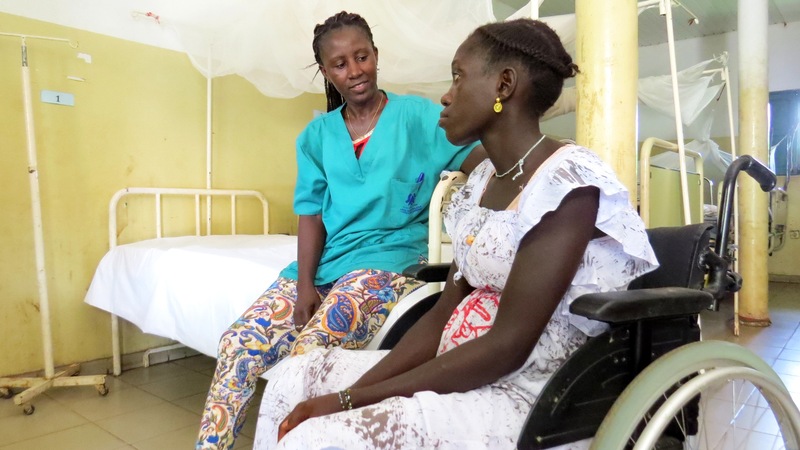 Maternity received also wheelchairs that are used to transport pregnant women after giving birth, “before this donation women were carried to the caring room by their relatives, but now they are wheeled securely and comfortably”, confirms one of the nurses. 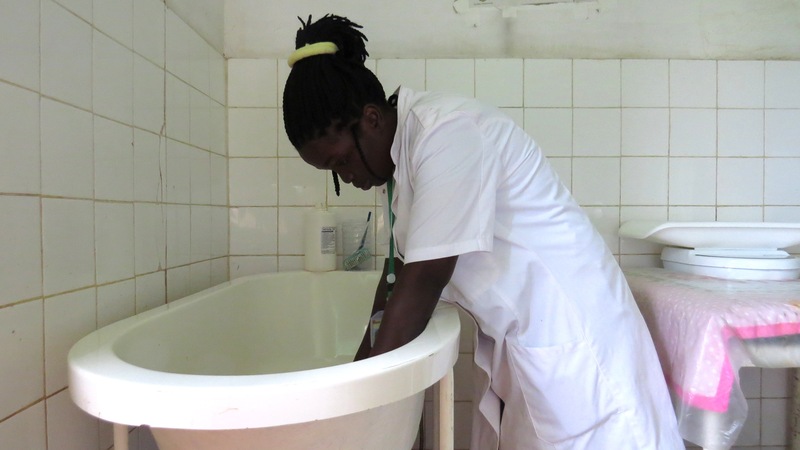 Not only the women but also the new born babies receive now their first hygienic cares in a new bathtub which facilitates also nurses work. 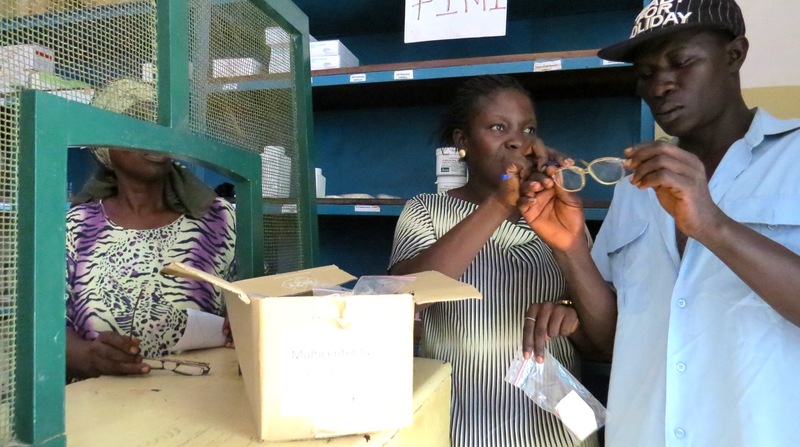 Danish Relief Group donation included 350 glasses that are free distributed to the patients according to the optician prescription, “this distribution is really helpful as there are no shops in Bissorã to buy glasses, you only can find glasses in Bissau capital. Moreover few people can afford to buy them as they are very expensive for the majority of the population” (between 30 to 75 euros). A massage table, uniforms, bedside tables and rollators were also part of the donation. 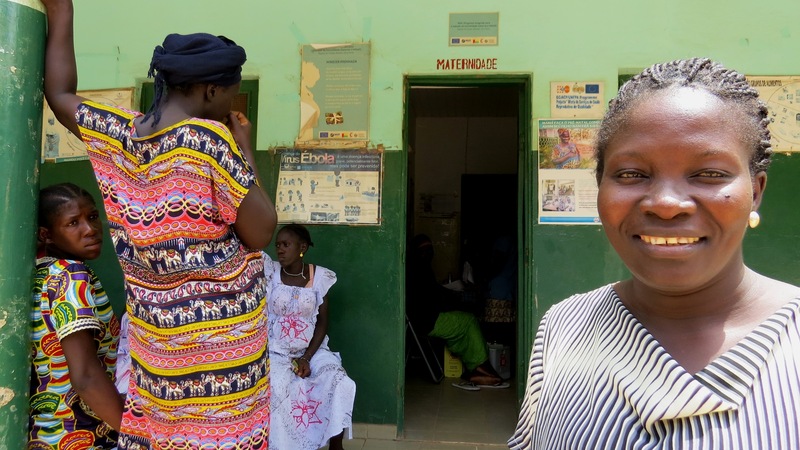 Bissorã Hospital shared also some of the materials donated to the Health Centres nearby, aware of the fact that solidarity between the most needed is the base of community development. 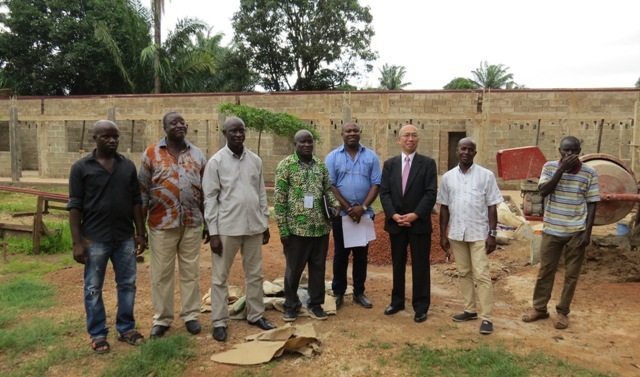 The Japanese ambassador in Dakar, Mr. Shigeru OMORI, visited the Congreso de Cassacá school in Bissau capital, to corroborate how the work is progressing in the new school that is being building from the root within a new partnership between Japanese government and ADPP GB. 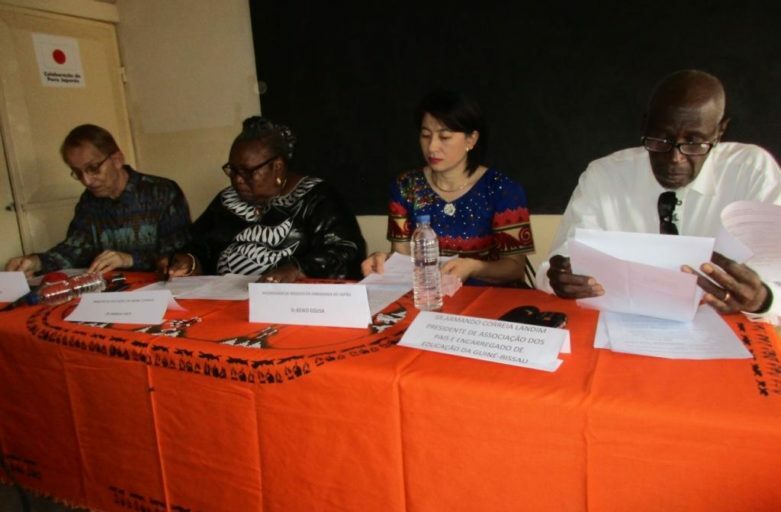 The aim of the project is to contribute to improve the quality of the educational system in Guinea-Bissau through the improvement of the infrastructures and equipment of the schools where children receive education. 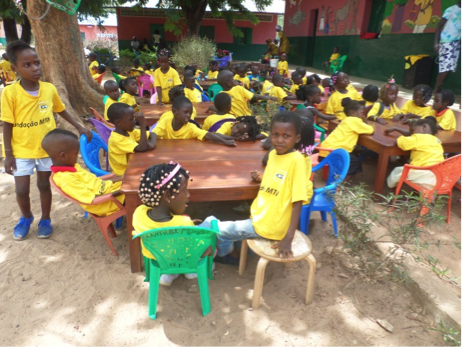 The new school will have 7 different classrooms, all of them full equipped with furniture (140 desks and chairs for children and 7 desks and chairs for teachers). 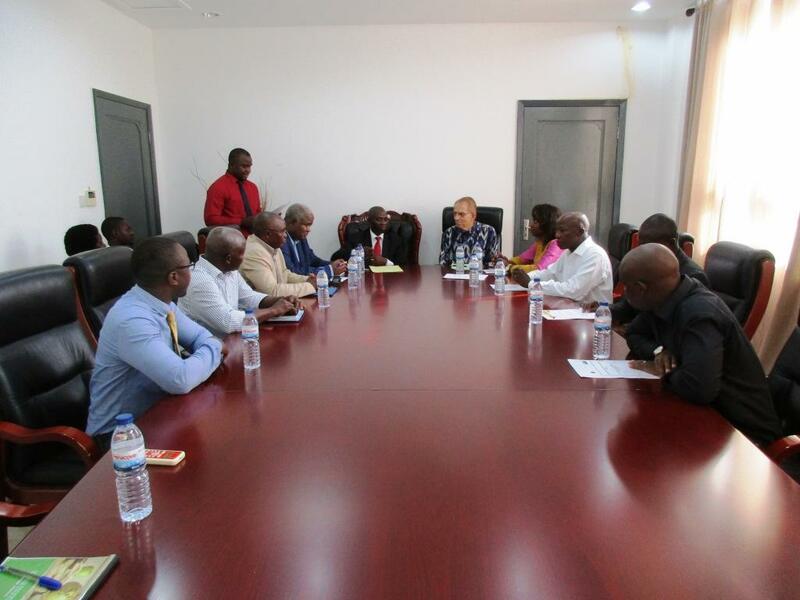 The new infrastructure will benefited directly 840 children per year from Missira neighbourhood, that will receive education in better conditions that will have a direct impact in the progress of their studies. 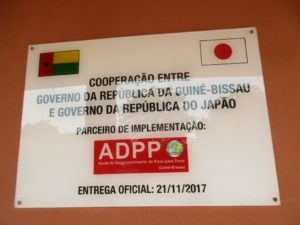 This is the third time Japanese government trust ADPP GB as implementer of development projects, focused all of them on Education, as its believed the base of any country to reach the progress. 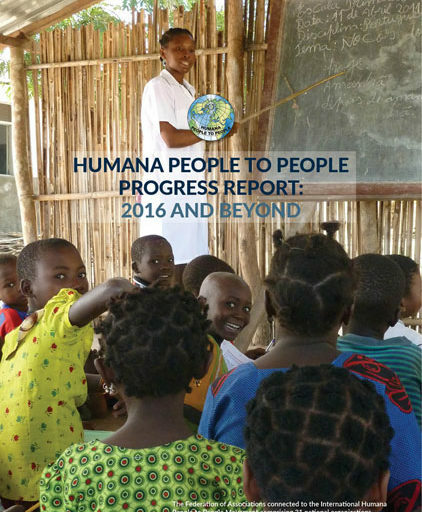 The Federation Humana People to People (Humana People to People) is pleased to release its Humana People to People Progress Report: 2016 and Beyond, demonstrating the value of its work over the past year. 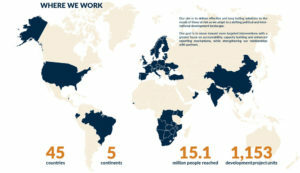 The report includes an overview of projects delivered by Humana People to People members, summary of major achievements, data on total projects delivered, partners worked with, people reached, case studies of particularly successful projects delivered by its 31 members and some of its plans for 2017. 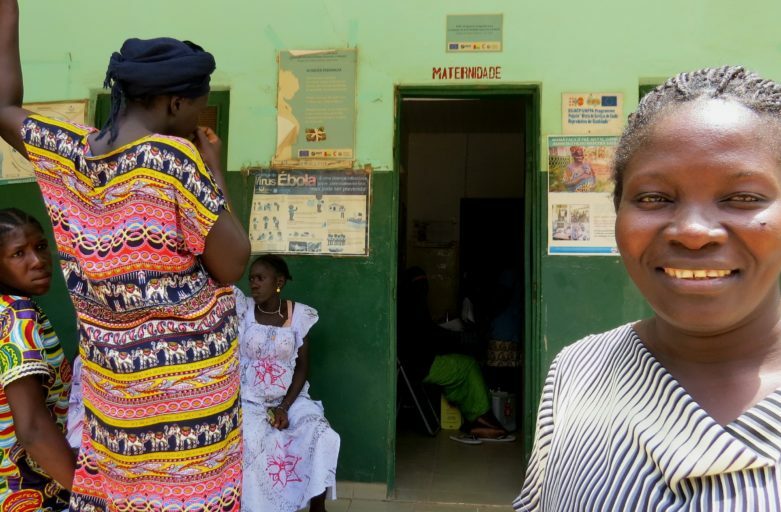 2016 was both a challenging and exciting year for Humana People to People: challenging as members adapted to evolving political realities and rapidly changing development challenges; but exciting as Humana People to People grew and established new partnerships across the globe, took on new challenges, expanded interventions, learned multiple lessons and enjoyed many new experiences.